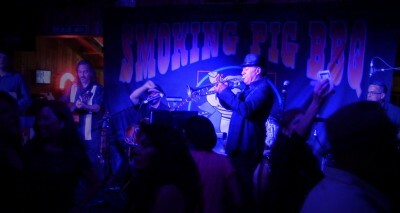 Latin Rhythm Boys live at The World Famous Turf Club. There is no cover charge. The Turf Club is located at 22519 Main Street, Hayward, CA. Come in early to get your preferred seating, and enjoy drinks at the outdoor patio featuring a tiki bar, a waterfall and gazebo. Live music starts at 8:00pm. ​A Day of Fun for the Entire Community! ​Join us for a fun-packed community festival with exciting activities, cool music and delicious food that you just can’t miss. Come hang out with us and represent the communities of Ashland and Cherryland! There are a variety of activities happening throughout the day. Live entertainment, community resources, sporting activities, art exhibits, health screenings, food tastings, face painters, and so much more! East Bay native, Paul Keim is a singer-songwriter, community organizer and lead curator for Smalltown Society, a movement of local artists and advocates, fostering participation in art, culture, and the cultivation of an equitable society. Creating spaces of belonging, Smalltown lifts up the voices of our neighborhoods, believing that we all have an integral part creating, sharing, and participating in a better narrative. Paul's latest album “37” was released in October 2018. An acoustic album, “37” was inspired by Billy Bragg, Bob Dylan, and Paul’s roots in the East Bay punk rock sense. The LP is dedicated to all who have made the work of Smalltown Society more complete. The Touch of Class Band live at Ashland Cherryland FamFest. 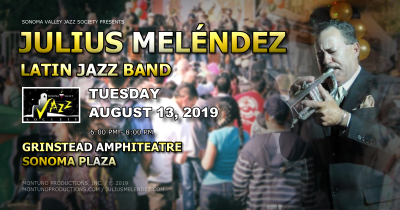 Sonoma Valley Jazz Society presents, Julius Meléndez Latin Jazz Band. Montuno Productions, Inc. is happy to announce The First Annual Bay Area Latin Jazz Festival, to be held on Saturday, August 17, 2019 at Rowell Ranch (Rodeo Park) in Castro Valley, CA, from 10:00 A.M. to 6:00 P.M.